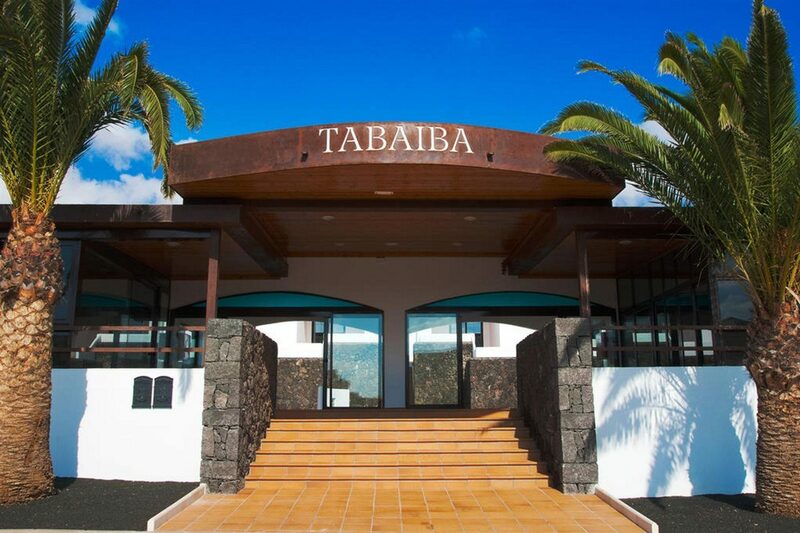 The THB Tropical Island was built with family holidays in Lanzarote in mind. 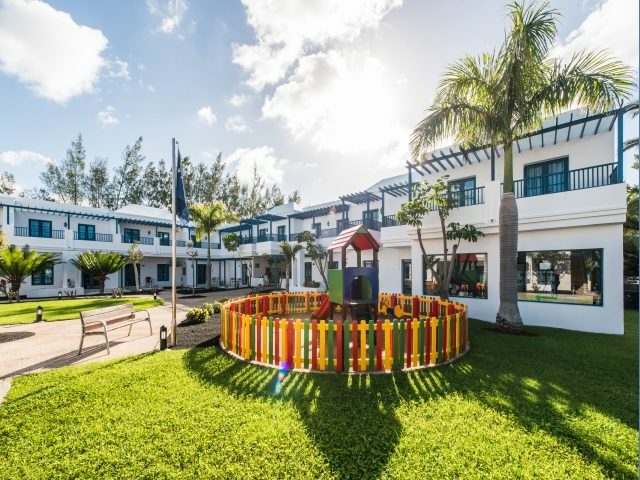 This luxury complex, on the outskirts of Playa Blanca, is a waterfilled haven and offers an amazing lineup of facilities and activities for all ages. The pool and sunbathing scene is second to none. Spread out in landscaped gardens, there are no less that ten pools for adults and another four for the children. The Splash Park water park guarantees waterbased fun too for the little ones. 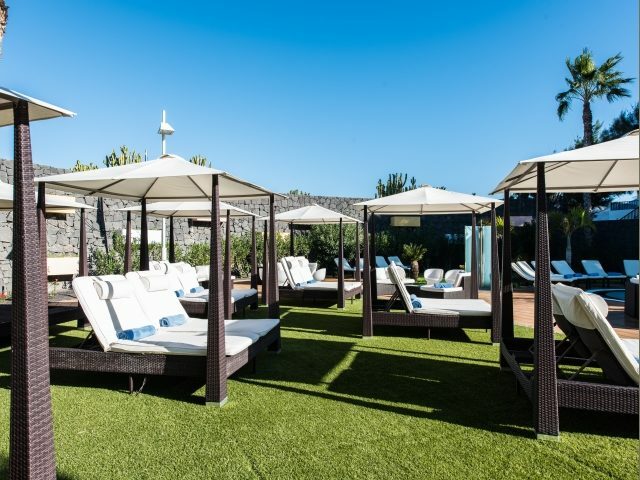 The spacious sunbed filled terraces are the perfect place to work on your tan. If you prefer to feel the sand between your toes or a dip in the waves, you're in luck; the shuttle bus will soon whisk you the short distance to Playa Blanca Beach. On top of all this, there are abundant sports facilities from tennis and volleyball to diving lessons and football. Rent a bike from reception and get out and explore. There's no excuse for not keeping up with your morning workout when the onsite gymnasium comes with all the latest equipment. The children get a look in with their own funpacked miniclub and playground, together with a programme of childfriendly activities and entertainment. 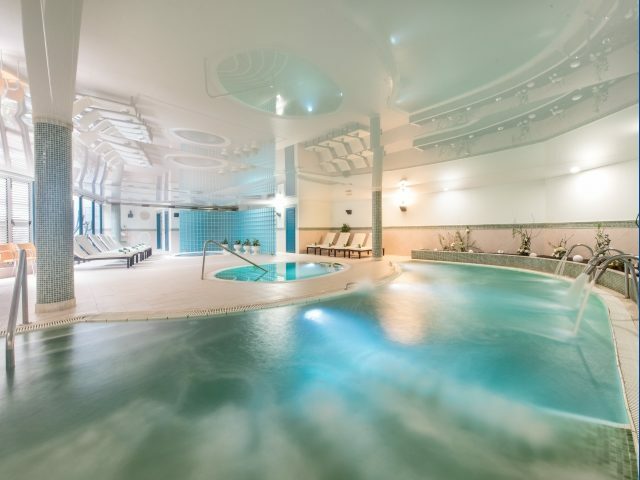 The indulgent spa area is an oasis of calm and comes complete with everything from a Turkish bath, saunas and massage cabin to a thermal circuit. The guest apartments are spacious and feature a colourful decor and light wood furniture. They each offer a kitchen area, to rustle up a snack or two, a modern bathroom and a private balcony or terrace to watch the world go by. The onsite eateries serve up a host of tasty treats at mealtimes. The main restaurant is a buffet style affair with dishes from around the world and themed dinners on the menu. Light bites and cool drinks are served poolside during the daytime. Go down the a la carte route in the evening and tuck into Spanish tapas or Italian pizzas and pasta dishes. The barmen are happy to freshly brew your favourite coffee or shake you up a cocktail. After dark, the entertainment programme brings live music, shows, fun and games for all the family. Discover why the THB Tropical Island is a popular place to stay for all inclusive holidays in Lanzarote. 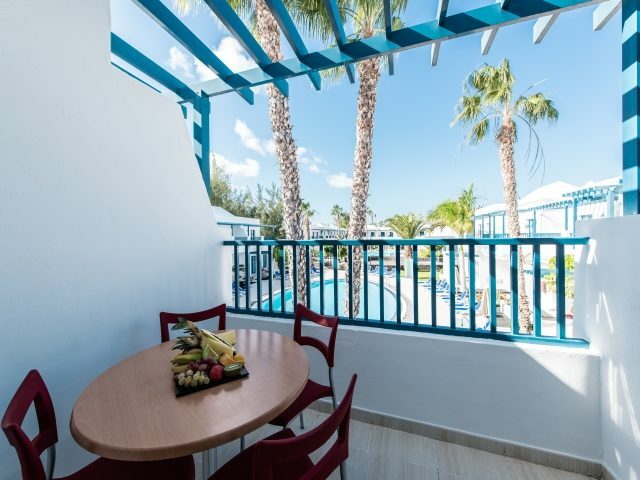 The THB Tropical Island has all the facilities you would expect from luxury Playa Blanca holidays. 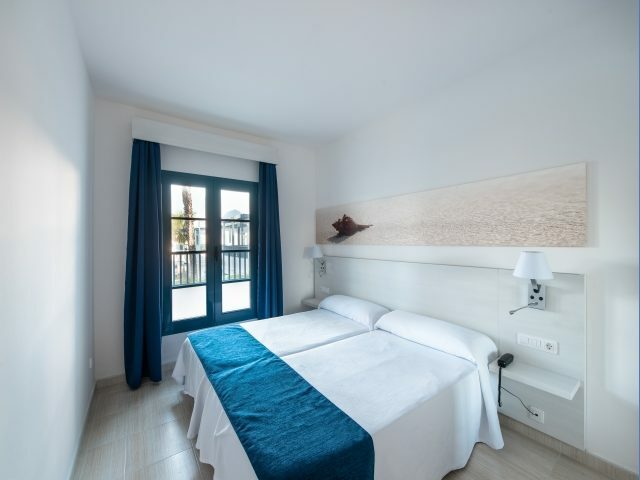 Highlights include: Eight outdoor swimming pools with sun terraces, sunbeds and parasols, two giant sized pools, four children's pools, a Splash Park children's waterpark, two outdoor Jacuzzis, two pool bars, minimarket, two show rooms, gymnasium, computers with internet access, WiFi connection, laundry service, free parking in the front of the hotel and 24 hour reception. The thermal spa features a thermal circuit with thalassotherapy, hydromassage shower, Turkish bath, toning pool, jet pool, sauna, Jacuzzi and massage cabin. For the children there is a playground, miniclub and daytime and evening entertainment. On the sports front you'll find two tennis courts, volleyball, table tennis, billiards, darts, table football, football field with artificial grass, bikes for rent and diving lessons in the pool. The hotel offers eight apartments specially adapted for the disabled and the public areas feature ramps, wide doors and elevators. The hotel has a total of 414 modern guest apartments, 45 of which are interconnecting. 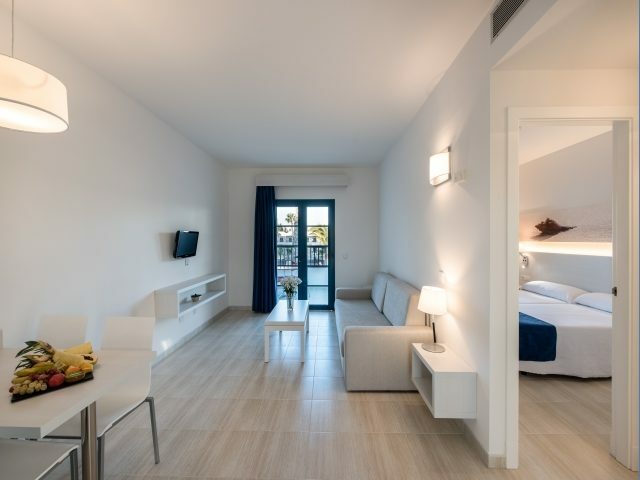 The apartments feature large bedrooms, kitchenette, living room, bathroom, terrace or balcony, TV, air conditioning, safe to rent, telephone, refrigerator, microwave, kettle, juicer, hairdryer and sofa bed. The main restaurant serves buffet style meals for breakfast, lunch and dinner, with themed dinner buffets three times weekly. The Tapas Restaurant serves a wide choice of Spanish tapas and combined dishes. The Pizzeria serves up authentic Italian cuisine, including a variety of pastas and delicious pizzas. The Pool Bar sits next to the main pool and offers a selection of soft drinks, juices and beverages. La Taverna Night Bar serves a full menu of drinks and is the setting for the evening entertainment shows. La Carpa Bar is set in a big tent in the garden and offers a great choice of cocktails and drinks, alongside a full programme of activities and entertainment. 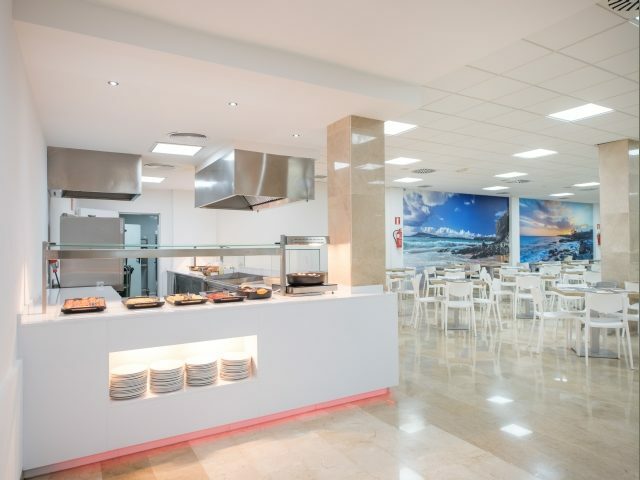 All inclusive holidays at this luxury Playa Blanca hotel includes: Buffet style breakfast, lunch and dinner, soft drinks and local alcoholic drinks. Hotel rooms were amazing everything we needed for our self catering holiday.. we didn't use hotel facilities except for the main pool and little pool, went into the dome for 1 night and never went back as it was very poor. We would definitely go back to Lanzarote but not to this accommodation . A few problems with apartment, lock on door defective. Tap loose in kitchen. Staff on duty in reception unable to cope when we arrived,we were kept waiting a while. Fab hotel - great facilities. Perfect! Great location, great hotel, great rooms, the premium area was amazing! Hotel excellent the premier apartment worth every penny would go back! Entertainment was interesting!!! A shuttle bus to the sea would be useful! The brochure doesn't do this hotel justice was excellent from drop off.only comment is the food wasn't very hot in snack bar and restraunt if we went for dinner later on. Staff very helpful but had not received our request for a ground floor room with a pool view, however the hotel,staff soon resolved the problem. Only small complaint would be that the dining area is very noisy, but we mainly ate out so was nor a real problem for us. Suitable for young families, children up to 10 .... Well maintained " Holiday Village "
Fab hotel, good location, food good and extremely clean. Well set out accommodation with excellent facilities. 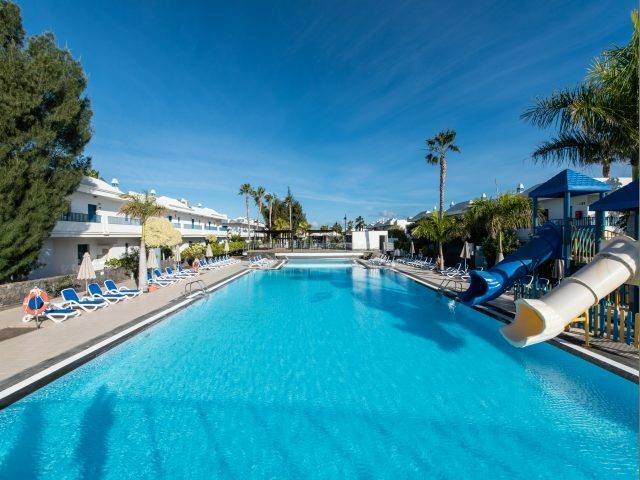 The complex was really nice, very clean, the staff were very friendly and very helpful. The only down side was the food wasn't that great. Accommodation spacious and clean but a bit outdated. Fantastic facilities in terms of pools, mini club etc. distance from Playa Blanca beach was 30 min walk, not easy with small child in the evening so we used the hotel restaurants. Pizza was good but otherwise pretty second rate catering. Very glad we were not half board or all inclusive!